Casita de Santa Cruz is a delightful 2 bedroom, 2 bath home that comfortably sleeps up to six people. Artistically decorated, the 2 bedrooms each have a queen size bed and the living room has a queen-size pull out couch. The large enclosed brick patio offers privacy for enjoying a soak in the 6 person hot tub, sunbathing or enjoying a barbecue while listening to the seals barking from their perches under the wharf. An extensive DVD collection and library of books is also provided. Casita de Santa Cruz is a hidden gem, offering seclusion, but located in the heart of a westside Santa Cruz beach neighborhood. You can be in the "thick of it" within minutes, but also hide away from it all. The choice is yours! Live like a local during your vacation. Enjoy a bike ride along West Cliff Drive, go wine tasting, take a drive up the coast to San Francisco or down the coast to Monterey, visit the University of California, Santa Cruz, play a round of golf, go sailing on the Chardonnay, try surfing!, or just relax at the beach. Gourmet kitchen with granite slab counter tops. Fully equipped to prepare a gourmet meal, or casual barbecue. Cozy, clean, and excellent location! We loved our stay in the casita for our girls' getaway weekend! The house was spotless and cozy--the heated floor was a really nice treat. We enjoyed the private patio and the hot tub was perfect after a day of walking and exploring Santa Cruz. The location of this house is excellent--a short walk to the water, and a short, cheap Uber ride downtown if you'd rather not walk. Jill was a wonderful host--very responsive to any questions. We'd rent this house again in a heartbeat! Thanks for a terrific weekend, Jill! Already looking forward to coming back; the place is beautiful, quiet and so close to all of the things that make Santa Cruz one of my favorite places to visit. Loved the fully stocked kitchen, hot tub, and outdoor shower and the trees outside the upstairs bedroom, which were meditative and soothing. Jill's a great host too...very responsive and welcoming. Great location, excellent communication with owner, nice hot tub, good amenities with everything you need in kitchen. Thank you ! Nice house, great landlord, nice and quiet neighborhood. I’ll be back! Great place with lots of charm and comfort! The place was clean and beds were comfortable. Kitchen and grill were great. Hot water dispenser was a luxury! 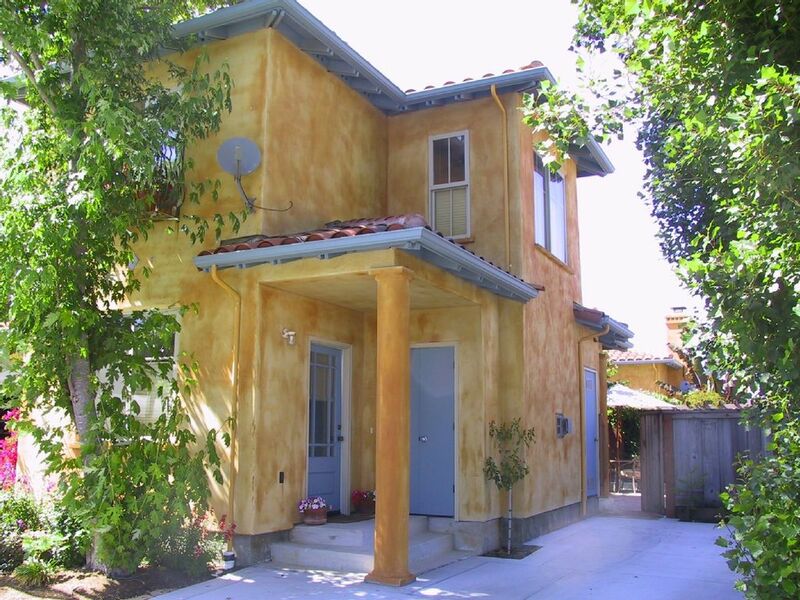 The casita is walking distance to Cowell beach, wharf, and boardwalk. Hope to visit again. Walking distance to beach, boardwalk, wharf, Depot Park, Santa Cruz Warriors Arena, and Monterey Bay Marine Sanctuary Center.